Arsenal got the better of Manchester United in a keenly contested encounter at the Emirates Stadium on Sunday evening. 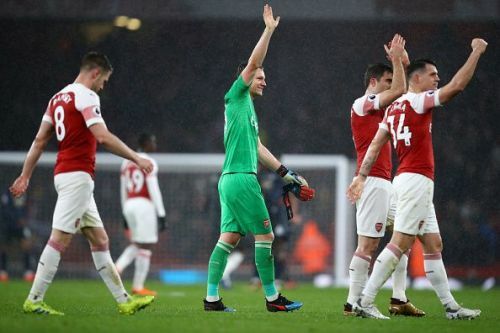 The win helped the Gunners leapfrog their northern rivals into the fourth position and placed them only a point adrift of Tottenham in third. The hosts got off the blocks quickly and controlled the early exchanges. The movement of Arsenal’s front three caused the visitors problems as they dragged the defense into uncomfortable areas. Eventually, the said tactic accorded Granit Xhaka time and space to line up a ferocious strike from outside the box. The swerve and the dip imparted on the football completely flummoxed David De Gea with the Spaniard rooted to his spot. Though Manchester United slowly grew into the game, they were unable to get onto level terms in the second half. The result was put beyond doubt by Pierre Emerick Aubameyang in the 69th minute when the Gabonese scored from the spot. While it was an enterprising day for the home side, the away side were swiftly brought back down to earth after their heroics in mid-week. In the summer of 2018, Gooners were excited with the acquisition of Bernd Leno. The German had distinguished himself playing for Bayer Leverkusen and many believed him to seamlessly slot in Arsenal’s line-up. However, he endured a torrid 2018 with an uncharacteristically nervy performance against Southampton being the nadir. Yet, since the calendar has flipped to 2019, Leno seems to have turned a corner. A couple of weeks ago, against Southampton, he was sensational as he came up with vital saves at important moments. A week ago, he produced a contender for ‘save of the season’ when he palmed a powerful Moussa Sissoko shot over the bar from a prone position. 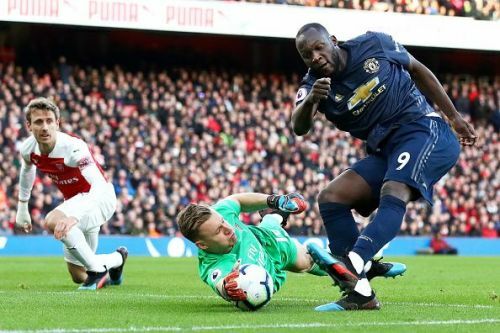 On Sunday too, he was at his best and thwarted everything United threw at him with the pick of the bunch being a brave save at Lukaku’s feet. Moreover, he was extremely comfortable on the ball and also made a well-timed dash off his line to ward off a potential threat. Ever since Jens Lehmann left the club, the Gunners have been searching for a top-drawer goalkeeper. Unfortunately, that pursuit had been futile. Yet, with another German coming up trumps recently, Arsenal’s wait for a superb keeper could just be coming to an end.